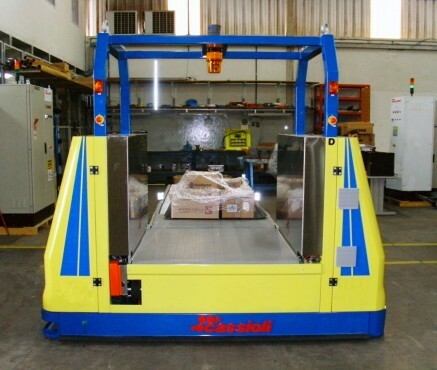 Our unerring effort to customize our systems to meet specific customer needs has allowed CASSIOLI to make a name for itself all over the world. 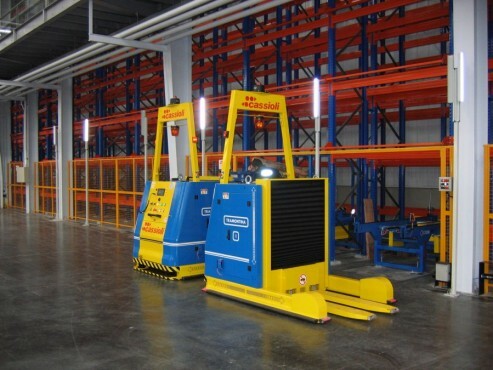 When it comes to AGVs, we’ve designed our equipment for a broad range of applications: unusually heavy payloads, odd shaped objects, even robot-equipped vehicles. 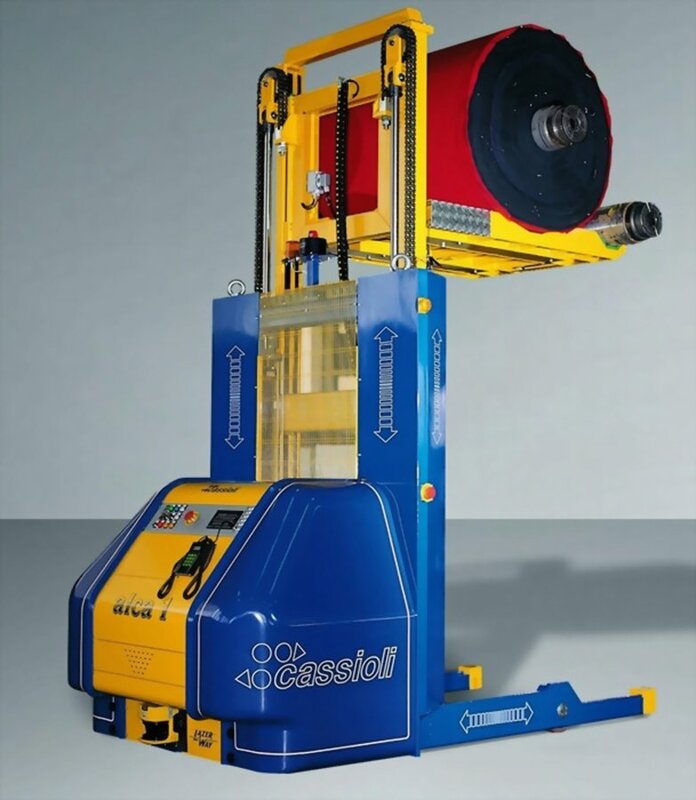 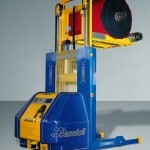 Over the years, CASSIOLI has built all manner of holding devices to operate in all sorts of industrial circumstances, producing, for example, traction systems for boat moulds or picking groups for reels (tilting tray-, grip-, or pin-operated). 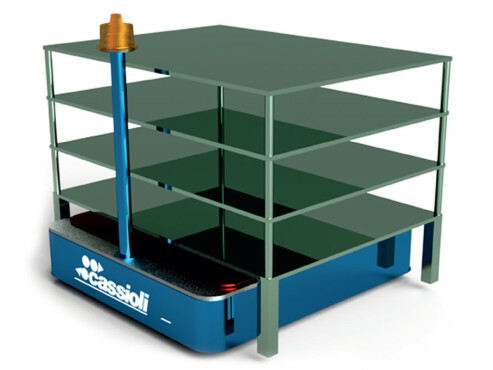 Bottom line: CASSIOLI is prepared to help you identify your needs and then customize solutions that meet them. 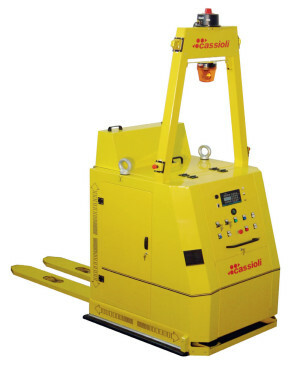 After having assessed the volumetric and environmental characteristics of the site where the system is to be installed, CASSIOLI technicians implement the best possible navigation system, chosen between laser or induction technologies. 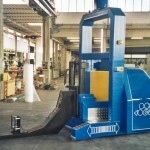 The electromagnetic induction system may be composed of continuous fields (magnetic tapes) or discontinuous fields (spots). 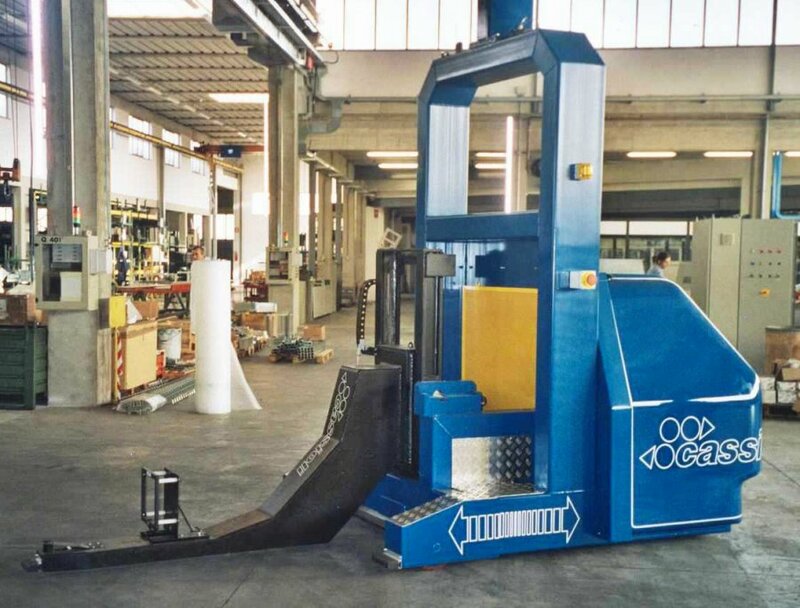 For particularly “difficult” environmental conditions, combined technology solutions may be provided (using both laser and electromagnetic induction systems), or video camera operated systems.